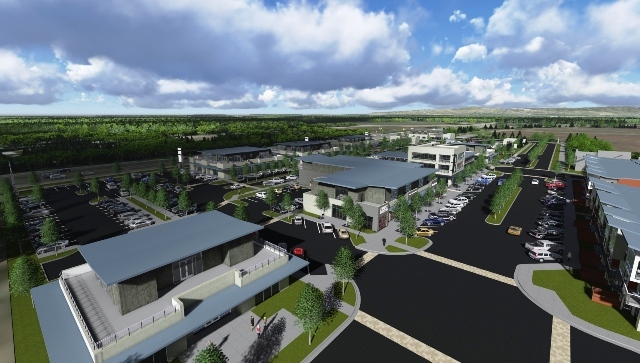 This mixed-use project in Eagle addressed the development of almost 40 acres through a variety of product types. 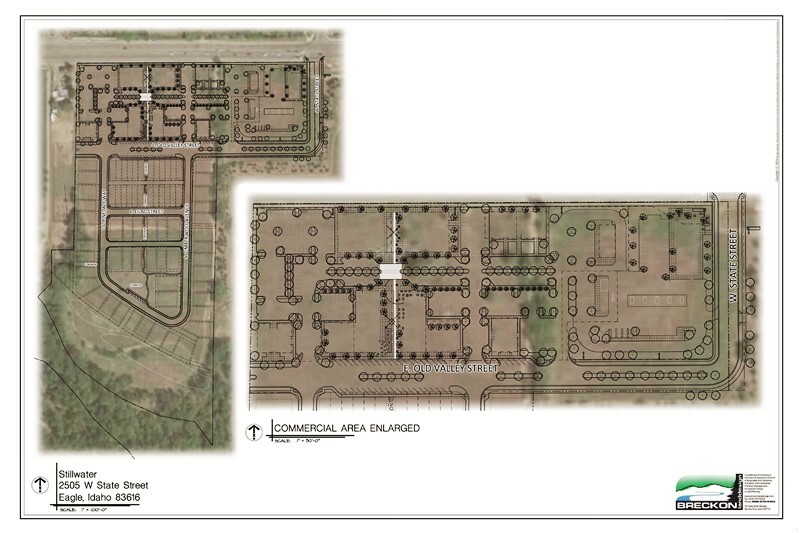 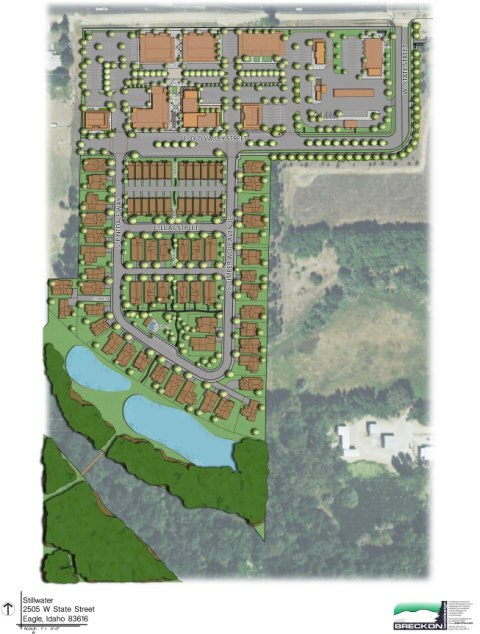 Planning took advantage of primary frontage and access along Highway 44 by locating commercial lots in the front of the development, transitioning to single-family units in the rear. 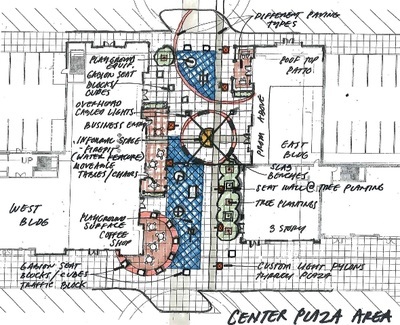 These were mixed with live-work-play units consisting of ground-floor commercial/retail/studio space with residential condominiums on the second story. Vehicular circulation and building massings were carefully considered to achieve functional and aesthetic objectives. 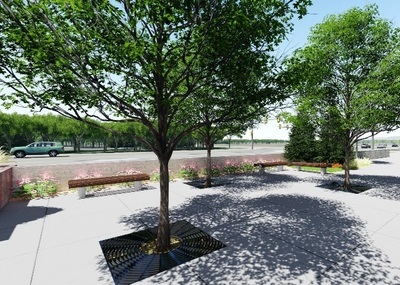 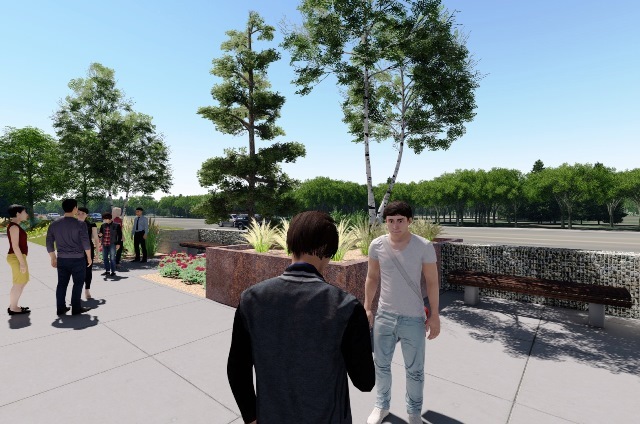 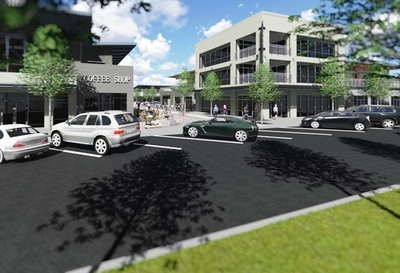 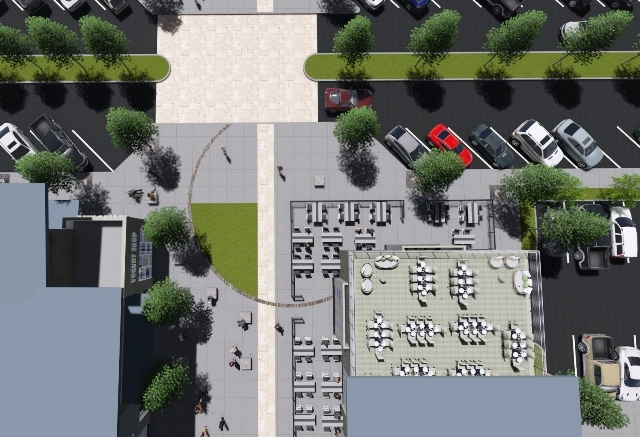 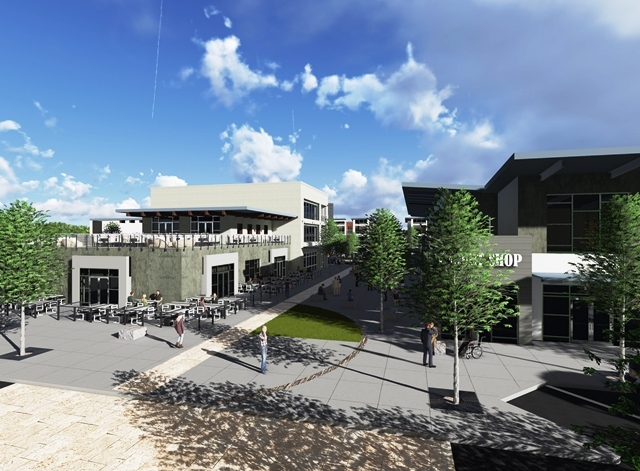 BRECKON landdesign landscape architects planned for pedestrian connectivity throughout the development, extending outward into the City of Eagle and resulting in a vital, mixed-use development. 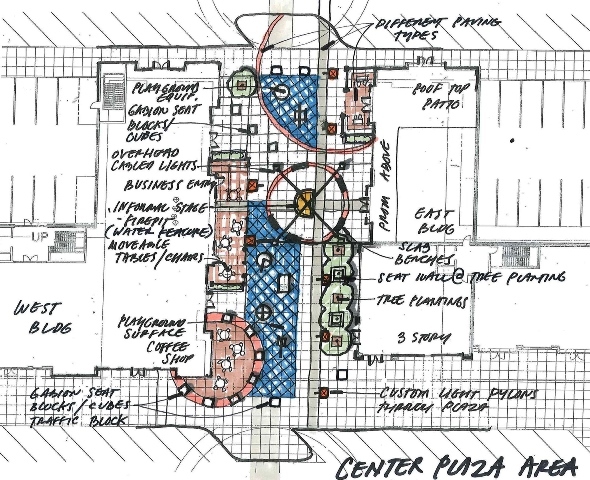 Conceptual designs were also completed for three interior plazas, with the goal of achieving a dynamic mix of uses and a strong sense of place that would attract both visitors and future residents.